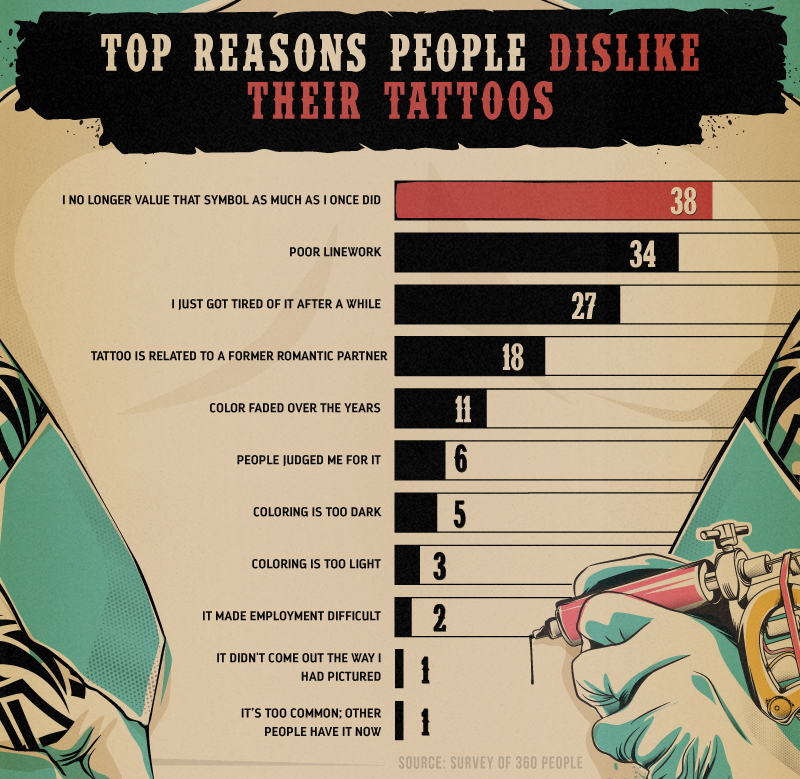 Following a recent study published on B&T in mid July that found 48 per cent of Aussies hate tattoos, some new research has come across the B&T news desk that 28.6 per cent of women and 29.7 per cent of men now regret getting inked. 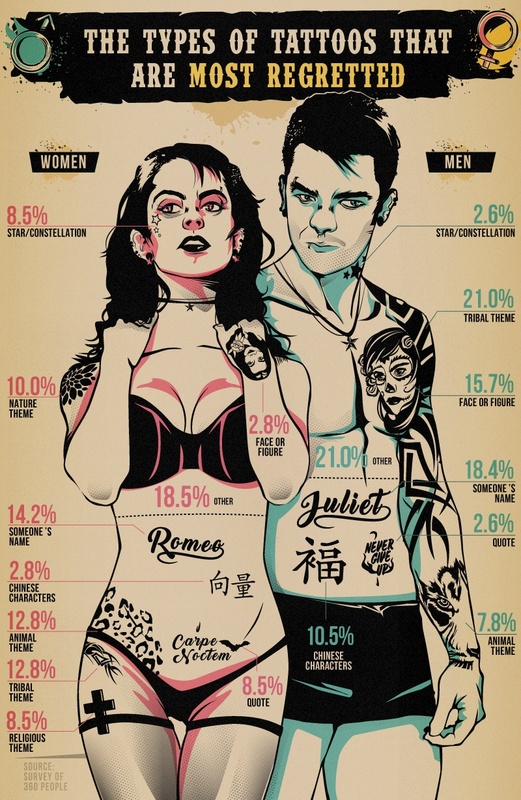 The study was done by US firm Casino.org and admittedly the results were based on the views of Americans. 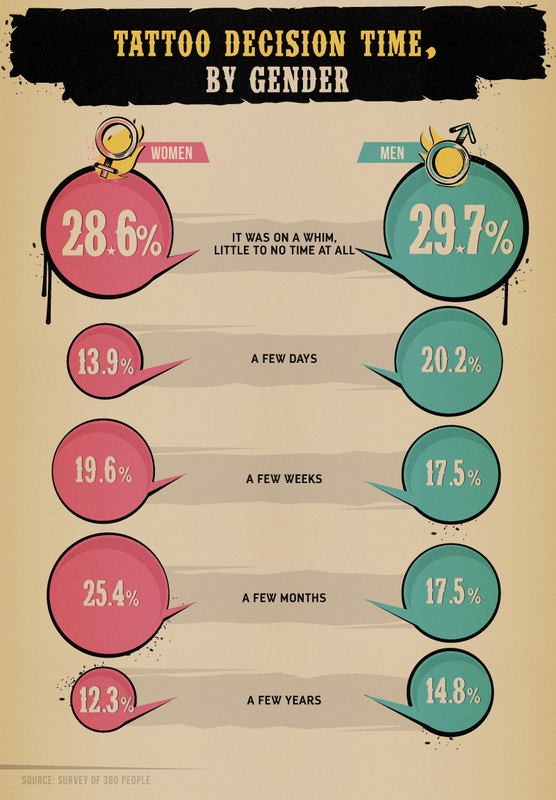 You can read the study in full here. 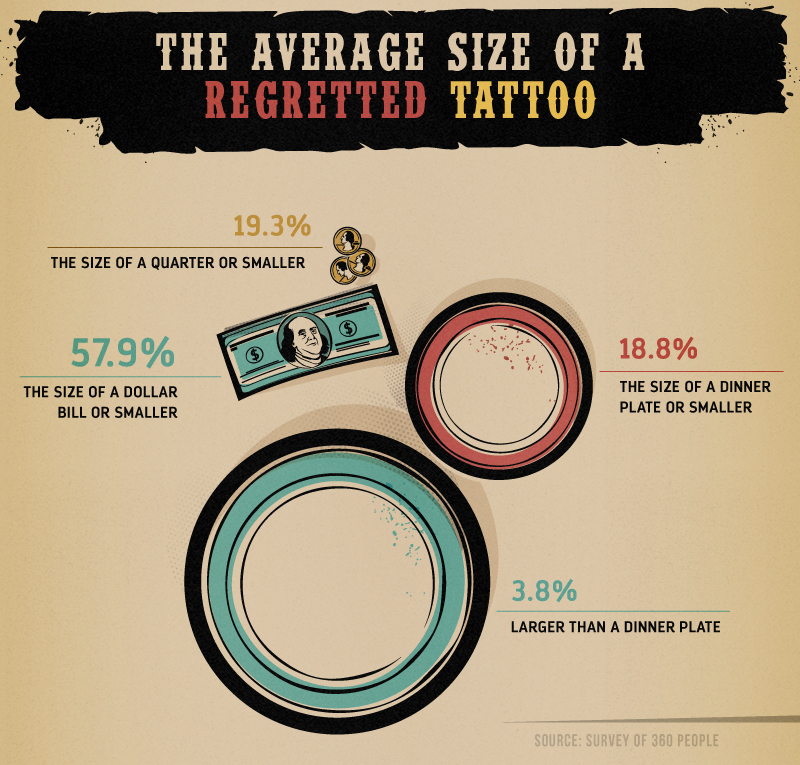 With around 45 million Americans having at least one tattoo, getting inked has become an increasingly common form of identity and expression. 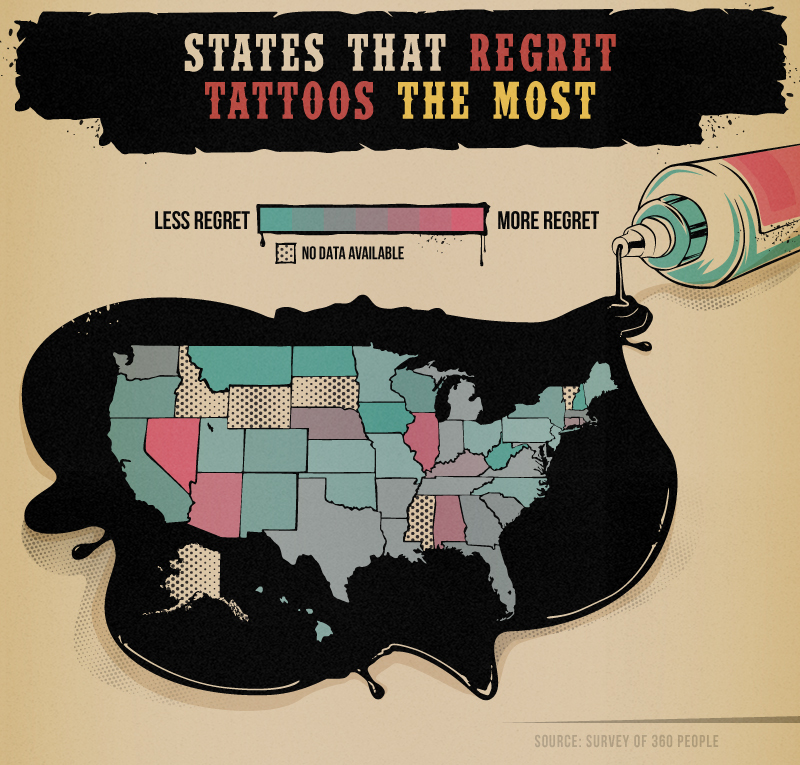 There are now 21,000 tattoo shops across the country – with Americans spending over $US1.1 billion annually on tattoos. 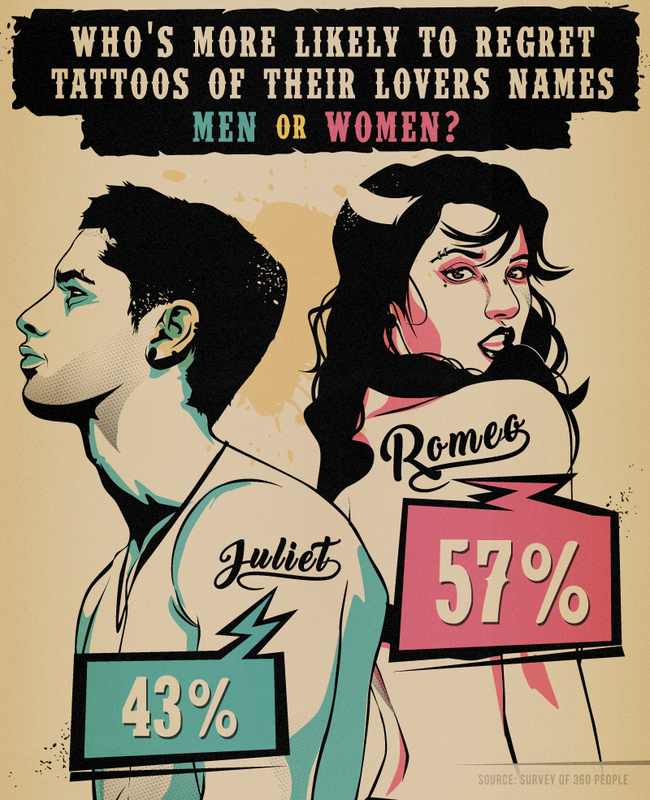 However, for some, the affinity once felt for a tattoo can dissipate over time. 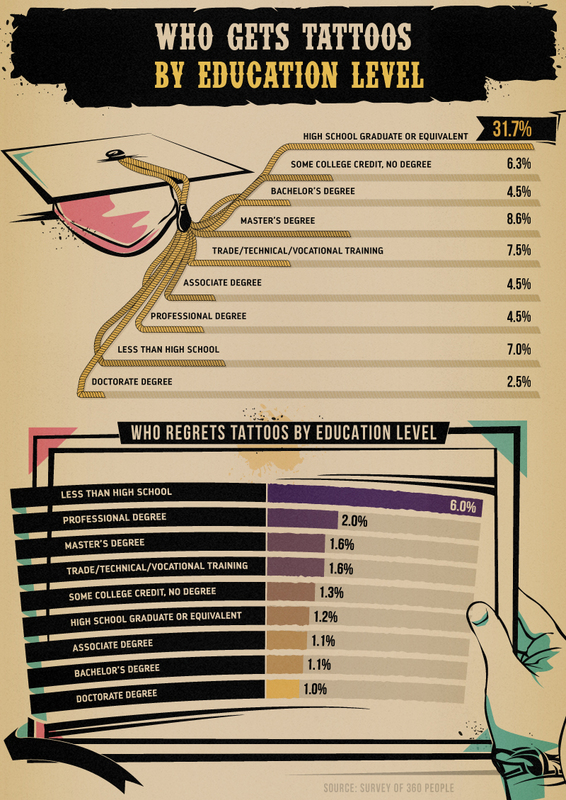 We surveyed over 360 people to find out about their deepest ink regrets. 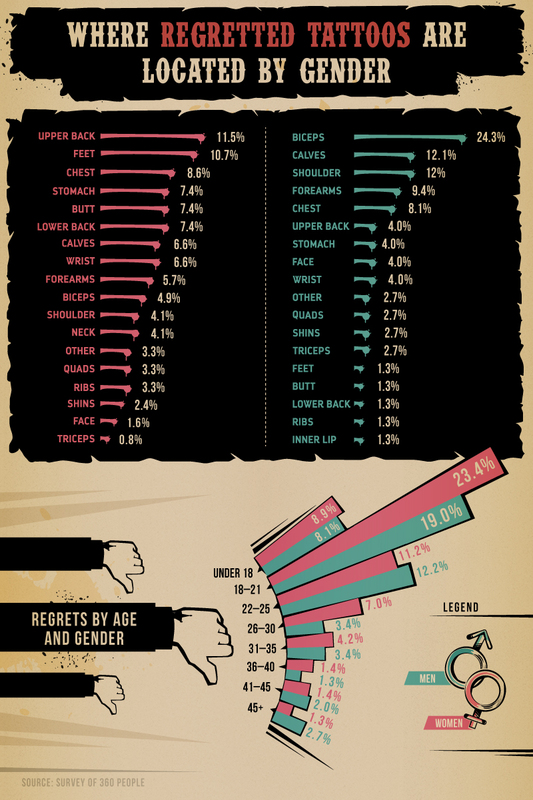 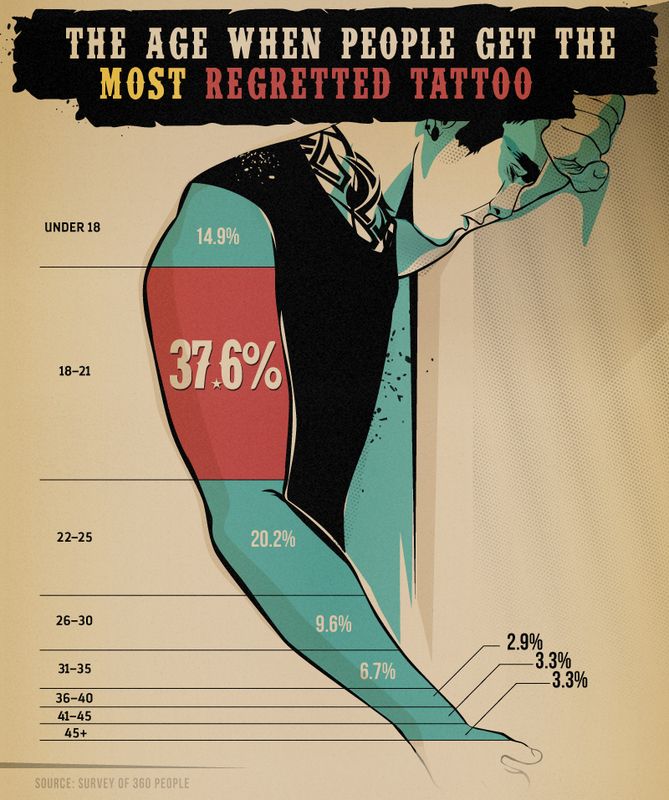 We learned about which types of tattoos are the most regretted, where they were done, how old respondents were when they had them done, and how much time they spent thinking about them before going under the needle. 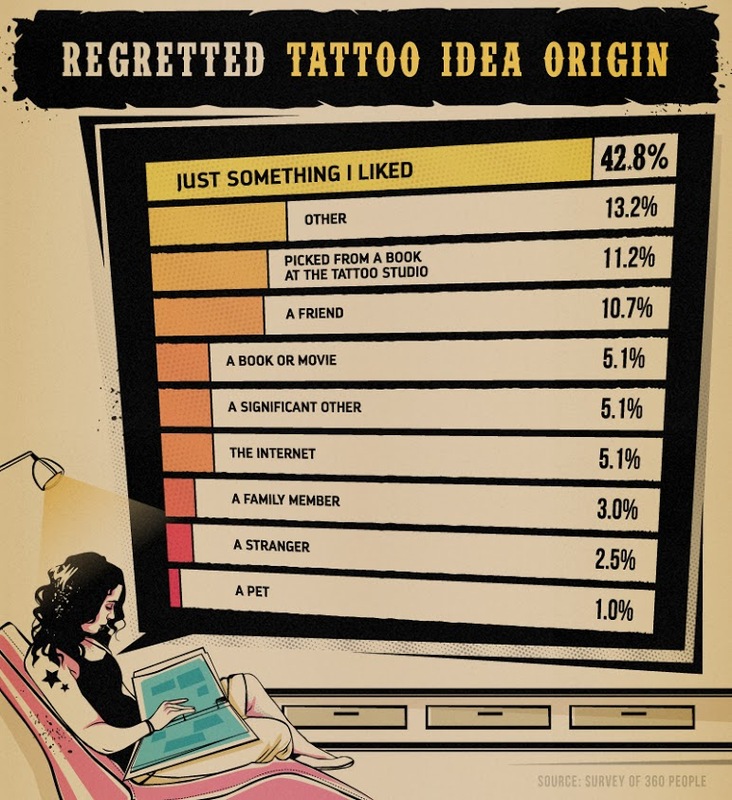 If you’re thinking about getting ink done but want to avoid these common pitfalls, continue reading to see what Casino.org discovered.